Peanuts - 1970's Collection, Vol. 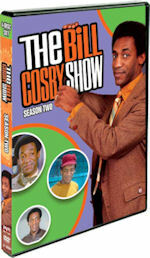 1 (Warner, $29.98) brings us the first six 1970's TV specials on DVD digitally remastered...and it is really worth it! These are the first six TV specials from the '70s, as we still have another half dozen or so still left from the '70s. On this set we get Play it Again, Charlie Brown; You're Not Elected, Charlie Brown; There's No Time For Love, Charlie Brown; A Charlie Brown Thanksgiving; It's a Mystery, Charlie Brown; and It's the Easter Beagle, Charlie Brown. Play it Again and It's a Mystery specials are being released for the first time ever on DVD! There's No Time for Lovewasn't released digitally remastered previously, so it looks much better here. Among the stories on these six specials are: Lucy trying to win Schroeder's affections by persuading him to perform; Charlie Brown runs for Student Body President; Peppermint Patty and Marcie admire Charlie Brown; the classic Thanksgiving feast; Snoopy turns into a detective to find Woodstock's missing next; and the Easter "Beagle" is coming to town. Let's now move on to the packaging. Like all the previous Peanuts sets, we have a thin outer box that holds a very thin case, that is movie style. I never understood the reason for the thin box that holds a thin case...again what's the point? It doesn't need protection really. Also, both the back and front of each are exactly the same, except the box is shinier. The cover art is white in color, and has a shot of Charlie Brown and Lucy at a booth with the wording "the doctor is in." The title of the special is on the roof of the book, with a mention that the six specials are remastered on the top with a Snoopy Peanuts logo! To the back we go, we get a nice shot of Lucy holding a football as Charlie Brown misses the kick and the wording "Outta Sight Collection, Charlie Brown." The back also has a disc-by-disc breakdown on what specials to expect. When we open the case, we get nice artwork and details on each special on each side. The first disc is in a plastic holder, that we can flip back and forth like a page on a book. Disc two is actually on the right panel. Disc art has a white background, with artwork of Snoopy & Woodstock on disc one and Marcie and Peppermint Patty on disc two. Inside the case there is also an insert for two free songs from "Charlie Brown's Holiday Hits" soundtrack that you can redeem at iTunes. The menu screen has options of Features, Trailers, Special Features, and Languages. We get that white background again, with the theme song playing in the background. We also have the same artwork as the cover art of Lucy and Charlie Brown on disc one, but disc two has Snoopy on the roof of his red dog house acting like he is a pilot. Anyway back to the menu, Trailers is just on disc one and we get some for the Miser Brothers Christmas and Scooby-Doo Mystery Begins DVD. We also get auto-trailers on each disc before the main menu for items like Peanuts '60s Collection, I Want a Dog for Christmas Charlie Brown, Charlie Brown Holiday Collection, and Saturday Morning 60s/70s DVD. For Languages, we can have either have English, Espanol, Portuguese or Japanese. For subtitles we have those four again and also French and Thai! The Features section has the specials listed, we can also select Play All to play them consecutively. Finally, Special Features is on disc two only and lists the featurette and a trailer for Harry Potter. The video and audio is tremendous once again. These specials are all so good ever since they stated the Remastered Collection sets. They have never looked better or sounded better ever. I am very impressed yet again; what more can I continue to say about these digitally remastered sets? Warner continues to do a great job on this remastering of all these classic specials. Each special has 5 chapter stops and runtimes are all between 25:00-25:15-ish. So, yes of course it is unedited! These sets are must buys for the video quality alone! As for special features, we get a nice featurette! It is titled "Woodstock: Creating Snoopy's Sidekick" and runs 12:42. Find out how the little yellow Woodstock was born and more on the loveable non-speaking character. Interviewed are Lee Mendelson (executive producer), Phil Cousineau (author), Alexis Fajardo (cartoonist), Derek Bary (Peanuts Historian), and Jean Schulz (Charles' wife). I once again highly do recommend this set for any Charlie Brown-Peanuts fan and classic animation in general. Continue your collection, because we get another two specials we never had on DVD before and one remastered for the first time on DVD. This is worth it! It is now safe to say we have the first 6 specials from the '70s remastered! We have 6 more to go from the '70s still, and I'm sure Warner will do a good job on that set as well, but let's hope they announce a street date for that soon. 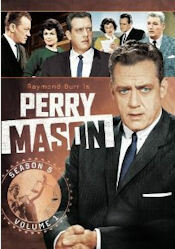 Warner continues to do a wonderful job with the remastering and the behind the scenes extras for each set. Let's hope they continue to release more Peanuts specials and eventually we get them all remastered in our personal libraries! So head back to the grooving '70s and relive the first six classic specials from that decade all over again! The doctor is certainly in on this DVD!